She continues to find a way to escape. The only way out is through the front door. 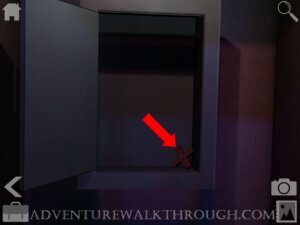 The door key is hidden inside a wall cabinet. 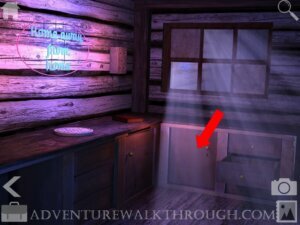 Alice has found one wooden cross, but she still needs four more in order to unlock the cabinet. This part will uncover a second cross. The cross is located inside a locked safe. 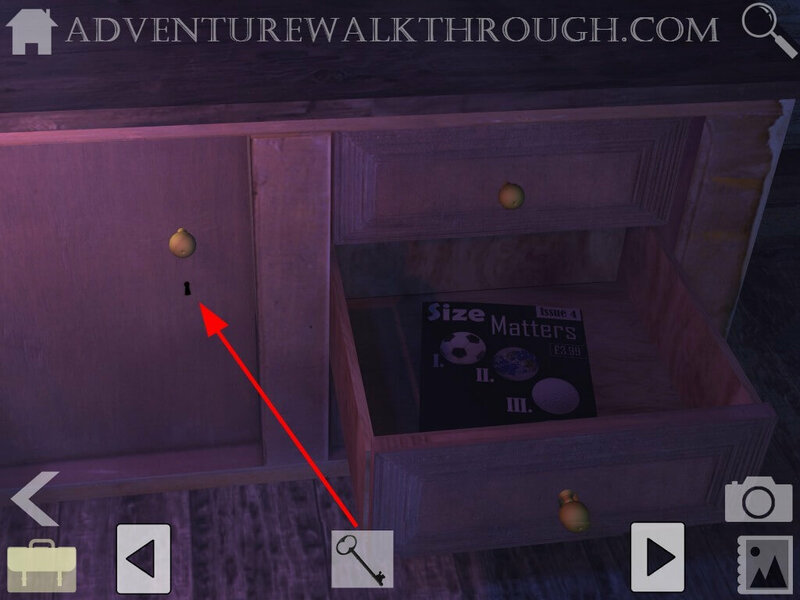 Use the cabin map guide to help you better locate the items. 1. 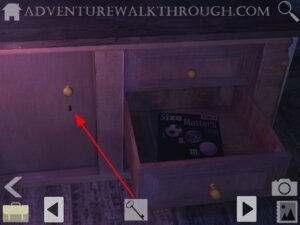 Shelf: Through out the house are these strange buttons. Collecting them all will give you a clue on how to open the safe. Go over to the shelf. 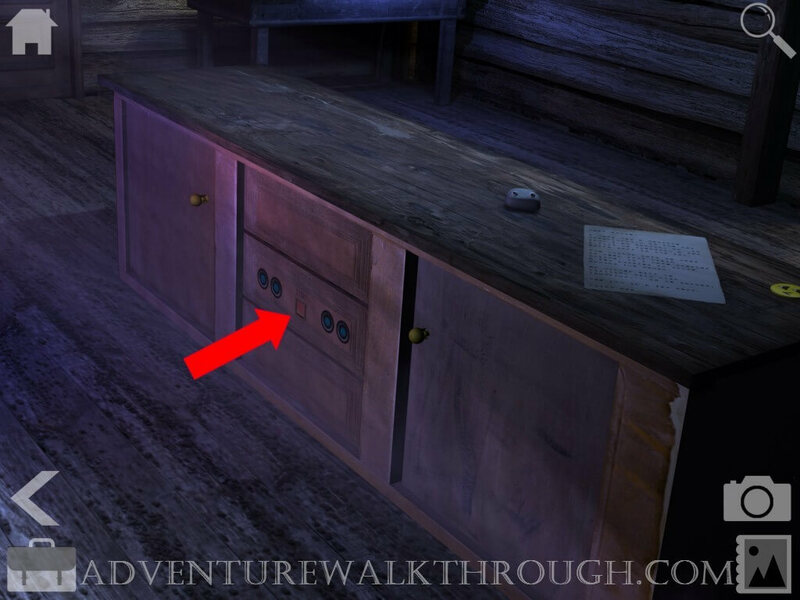 Find one of the buttons. 2. 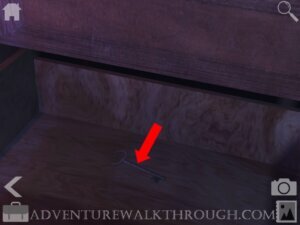 Bed: Look under the bed, you will find another button. 3. Table: Another button lies on top of the table. 4. Counter: Locate the last button on the counter table. 5. 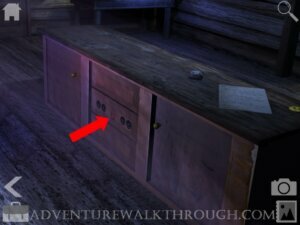 Locked Drawer: On the same counter, one of the drawer is locked. Tap on the start button. The buttons will illuminated. Memorize the sequence. 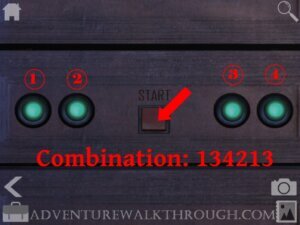 Follow the pattern and tap on the buttons in the order of: 134213. 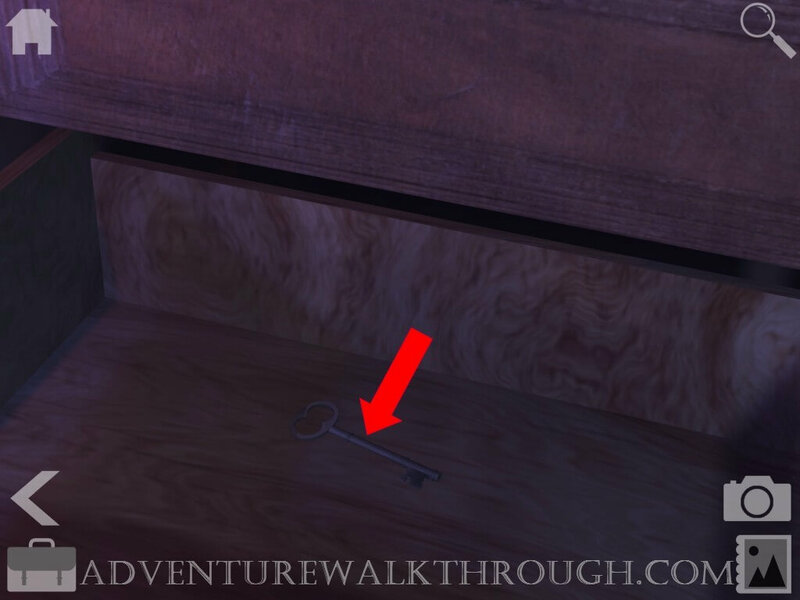 Take the key from the unlock drawer. 6. 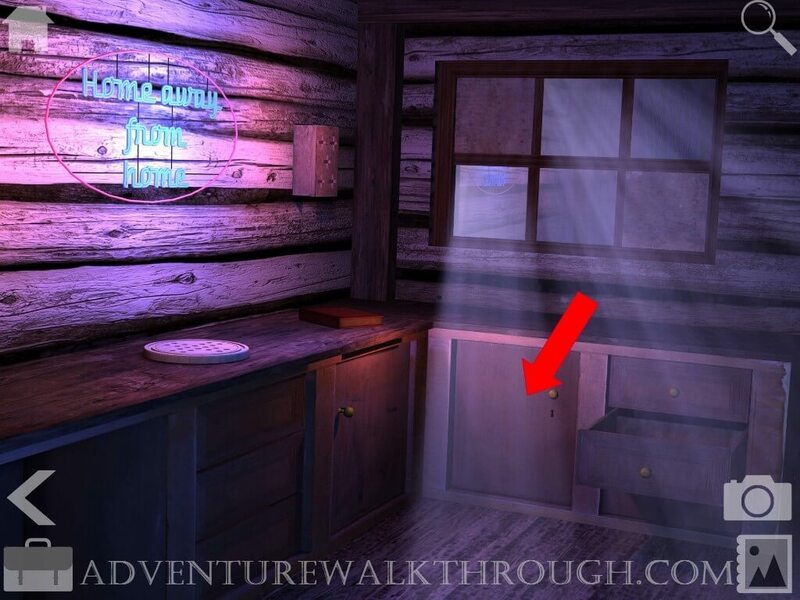 Cabinet: Use the key to open the cabinet door revealing a safe. 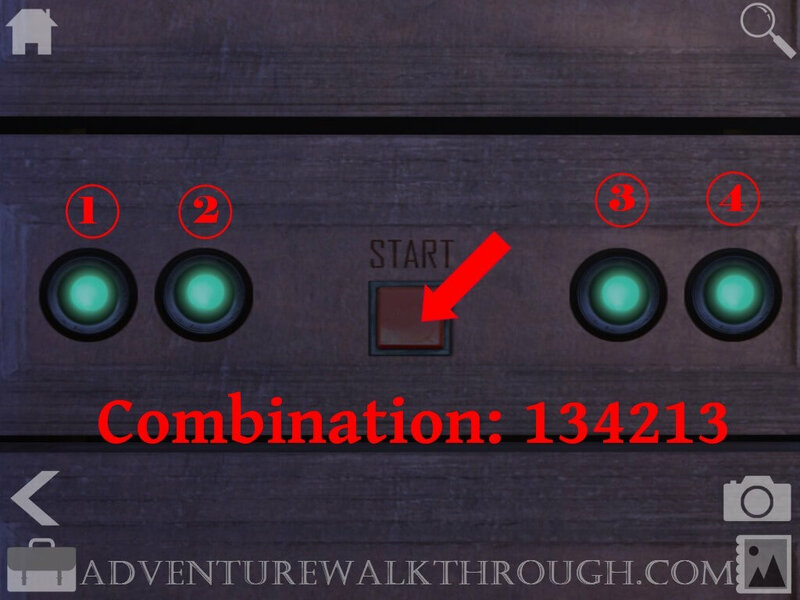 Enter combination as shown in the image below. You have found a second cross. I can’t pick up the yellow buttons to open! Help! U have to take a picture of them then go to the box by the kitchen. 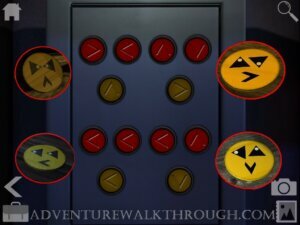 How do I use the pictures of the yellow puzzle pieces? Can’t move them to the puzzle.